Hi all! Happy Tuesday, I hope you all had a good weekend. As you may know, I have a certain penchant for lipsticks, so when I was in Dublin with money I had saved for some shopping, of course one of the first things I bought was a lipstick or two. 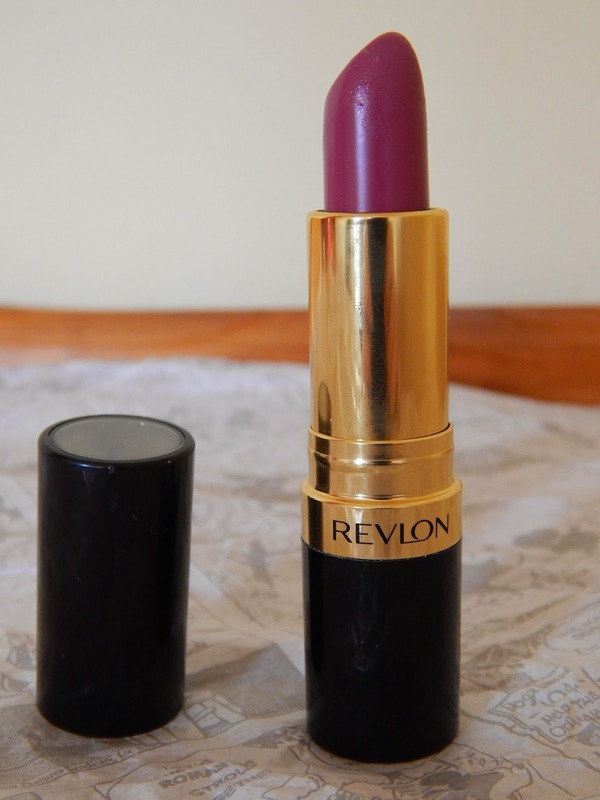 I bought two for €12.50, so I picked up this lipstick and a Revlon Colour Burst crayon. I got this lipstick in the shade Berry Couture. For ages now, I have been looking for the perfect purple shade. Alas, this is not it. I was looking for something with more of a blue undertone and a bit more vibrant. This shade, looks like the colour I would love on, but it does not transfer onto my lips that way, which is disappointing. It has more of a red undertone and fades to red/pink. I might mix this lipstick with my Rimmel lipstick in shade 04, for a more vibrant result. However, I still really like this colour. 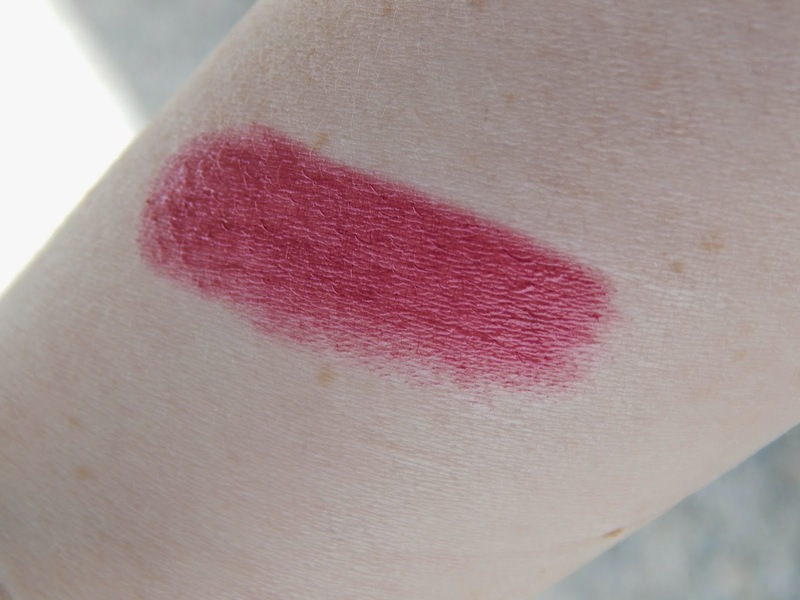 It is a gorgeous shade, especially with pale skin. It glides on easily and evenly and it is very hydrating and has a sheer and glossy finish. For someone who isn't a fan of a glossy finish, I really like the lipstick on me. The formula is lightweight and is not sticky, and it fades evenly. It does have a great colour payoff, however, I do wish tat it was more pigmented. The Super Lustrous lipstick doesn't last all day, but it does last for a few hours. I do love the packaging, it is classical and a simple black and gold, what can I say? I am a sucker for pretty packaging! If you want to an experiment with purple lipstick, but are daunted by the taught and want to try a shade that isn't so ''out there'', I think you will like this lipstick very much! 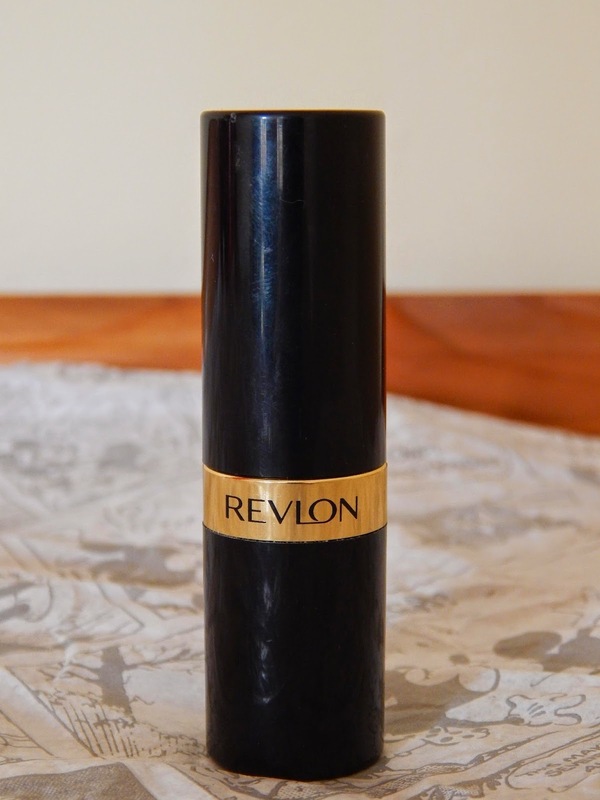 On its own, this Revlon Super Lustrous lipstick costs €10.69, which is a decent price to pay for a nice lipstick. Given the shade wasn't what I imagined and its pigment, I give this an 8/10! I have one of these in Temptress. I love it so much! But I don't think they make my colour anymore unfortunately. This one is lovely though!